There is no stopping Edvald Boason Hagen and his Team Columbia-HTC team mates at the Tour of Britain. Despite a brave attack by Ben Swift (Katusha), Ian Stannard (ISD-Neri), Geraint Thomas (Barlworld), Serge Pauwels (Cervelo) and Thomas De Gendt (Vlaanderen), Columbia controlled the race all day and then mercilessly caught them 1.5km from the finish. Boasson Hagen got another great lead out as the bunch crossed over the River Torridge and then accelerated away with three metres to go. Martin Reimer (Cervelo) tried to match him but could only just hold his wheel and hang on for second. Russell Downing (CandiTV-Marshalls Pasta) again proved he deserved his place in Team Sky and a place in the Great Britain team for the world championships by taking third place. 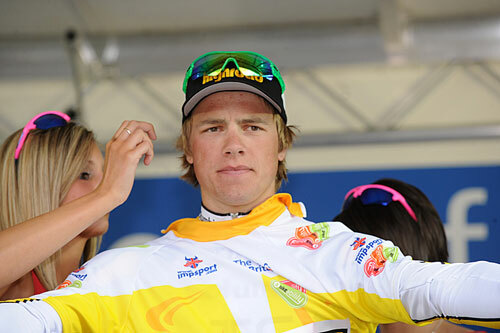 Thanks to time bonuses, Boasson Hagen extended his overall lead on Kai Reus (Rabobank) to 19 seconds. It is not a lot, but with Columbia so powerful and so in control, it is difficult to who can stop him winning in London on Saturday. Downing is now fifth at 35 seconds. “It’s never boring to win stages,” Boasson Hagen said, after his fourth consecutive win and seventh at the race in two years. 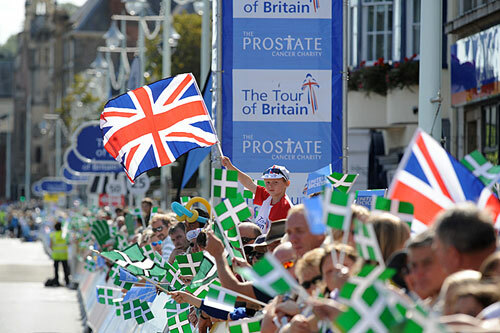 The strength of Team Columbia is crushing for the rest of the field at the Tour of Britain. Boasson Hagen wants to keep on winning but is worried about pushing his team mates too hard. Team Columbia’s final effort will be during Friday’s 159km seventh stage from Hatherleigh to Yeovil. 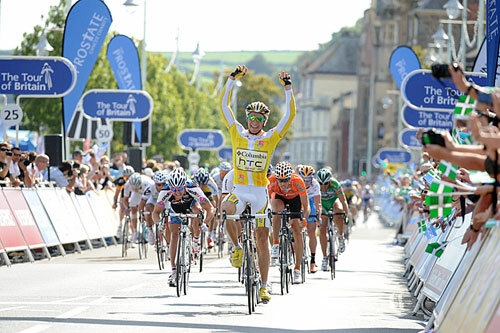 If they keep the yellow jersey after that, the criterium stage in London on Sunday will be a celebration stage. 10. Davide Appoilonio (Ita) Cervelo all same time. Can anyone now unseat Boasson Hagen from the top of the ToB table?